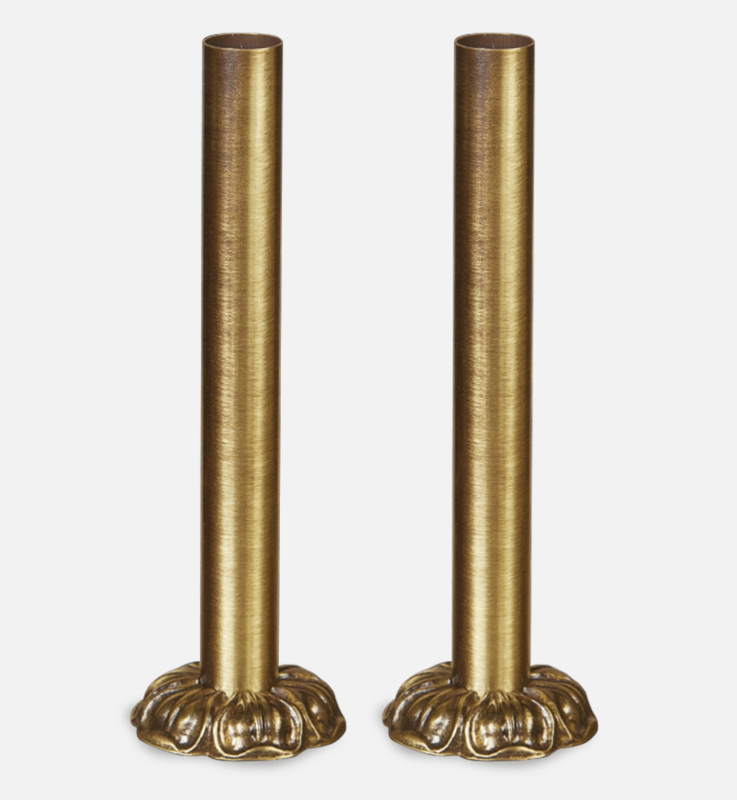 Pipe sleeves and floor caps enable a smooth join from floor to radiator – a neat way to hide copper piping connections. 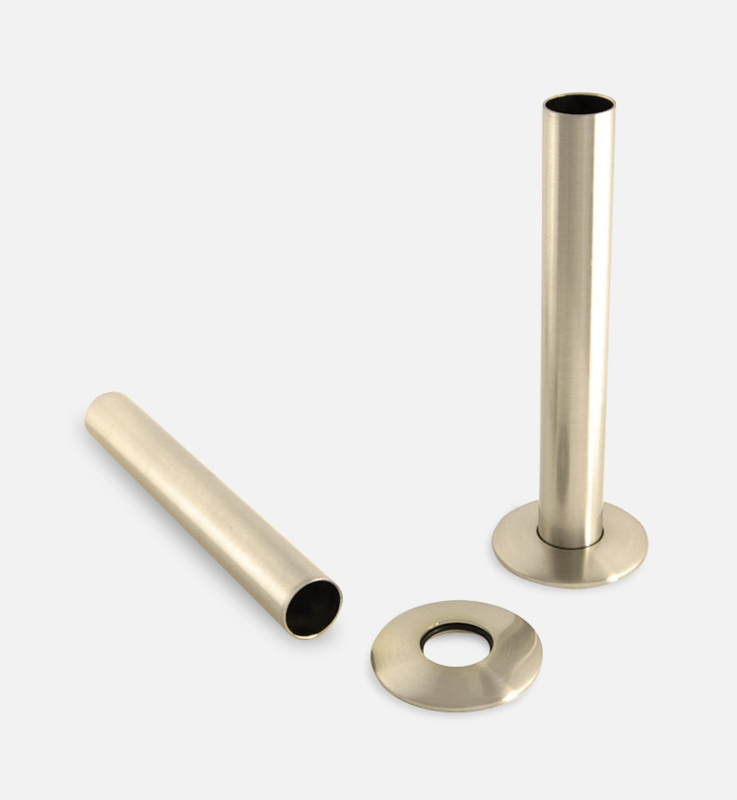 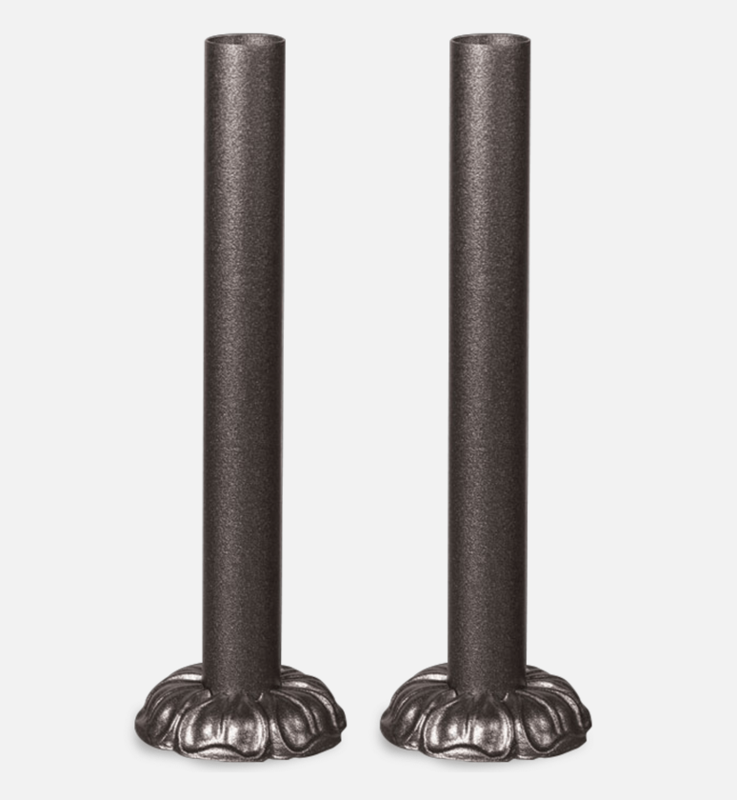 As with our bush ends and valves, our pipe sleeves come in a range of stylish, decorative finishes. 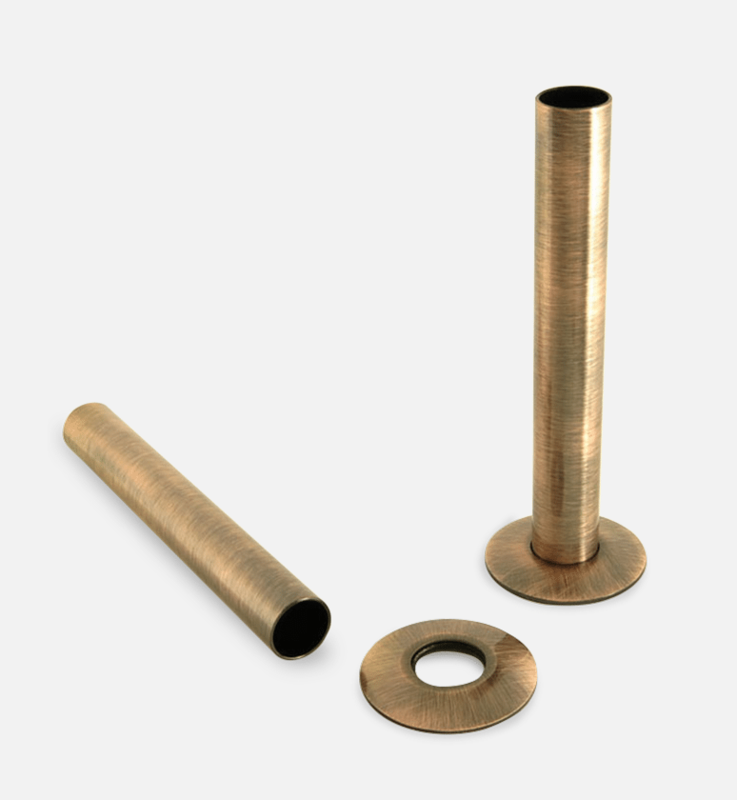 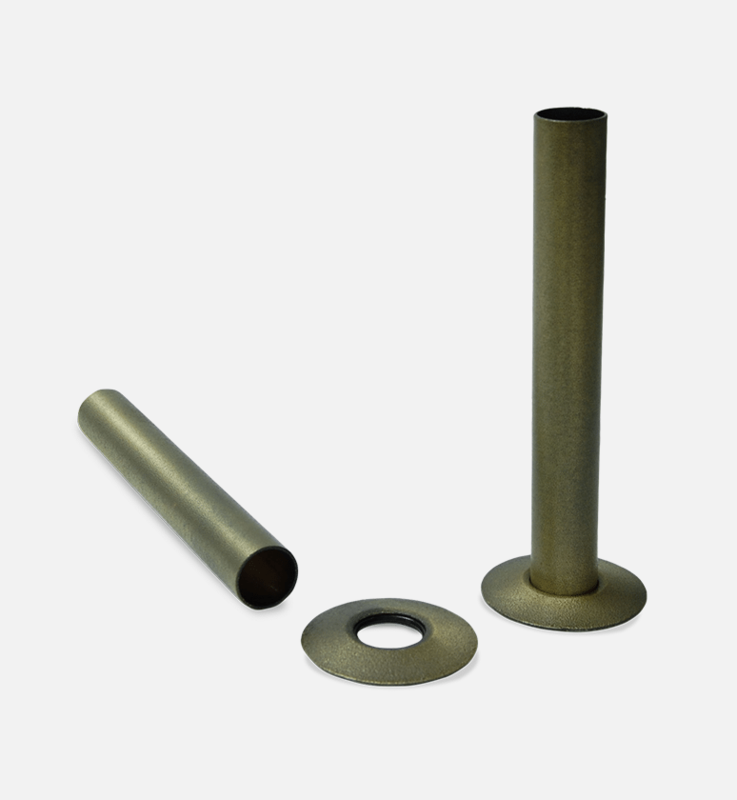 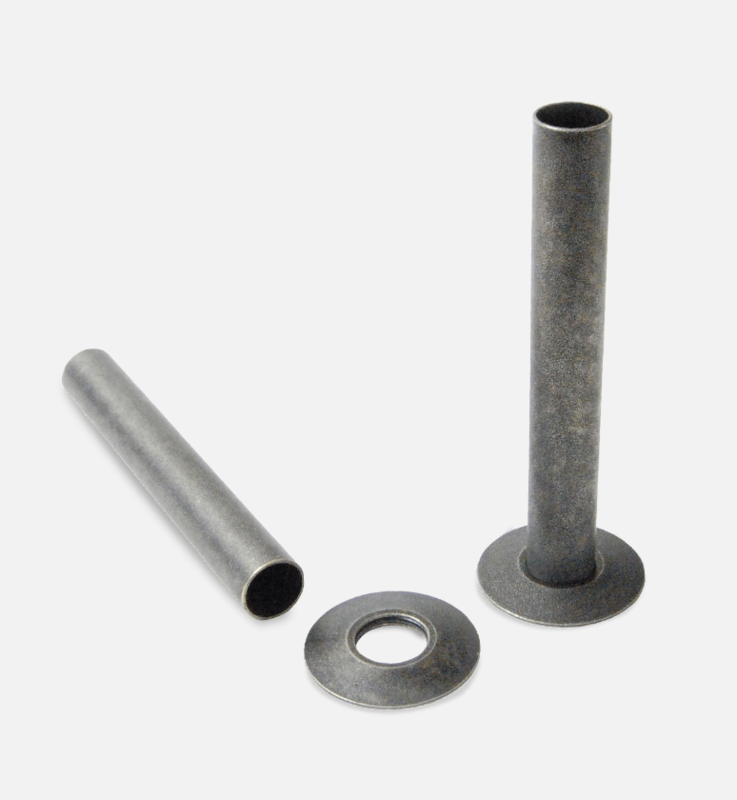 The pipe sleeve is designed to sleeve over 15mm copper pipe to enclose it in a casing that matches the finish of your chosen radiator valves. 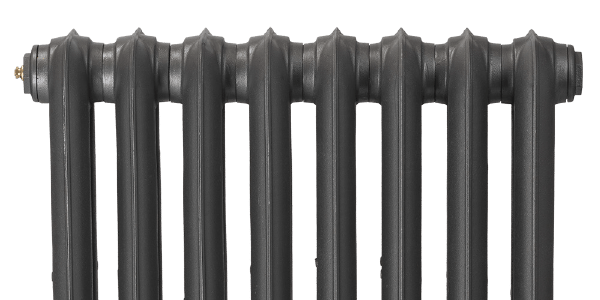 Our pipe sleeves and floor caps are also available colour coded to match your chosen radiator finish. 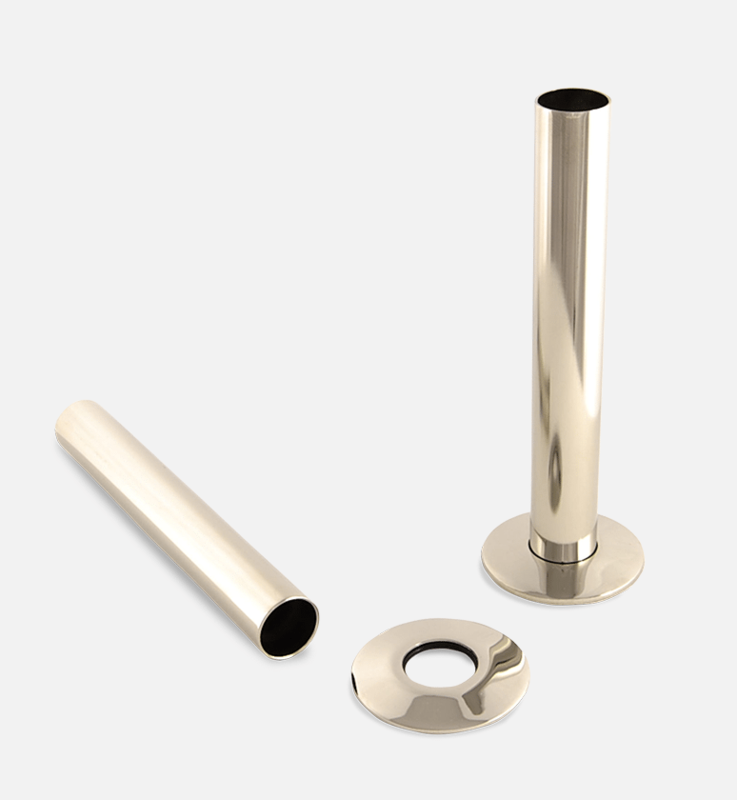 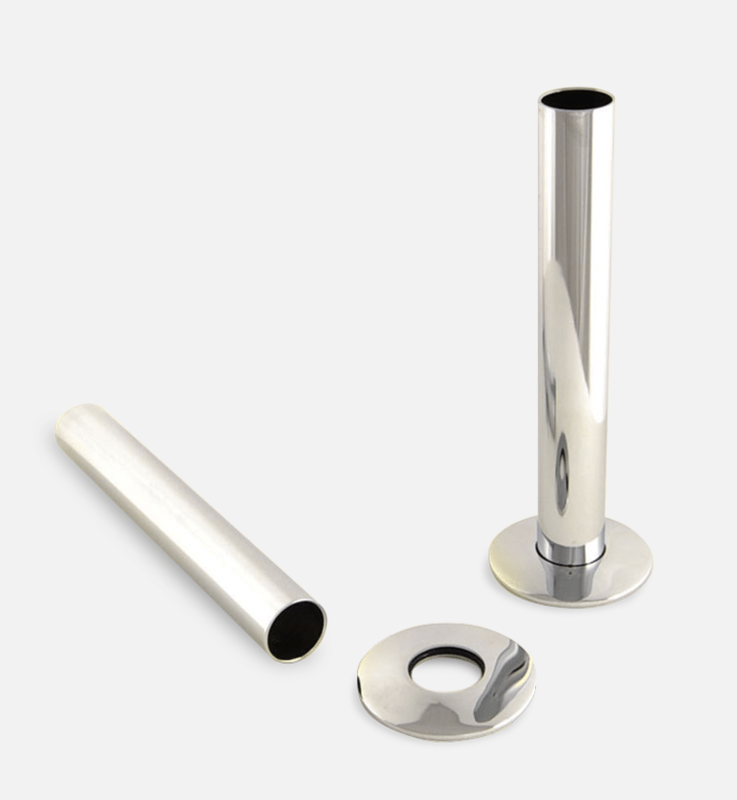 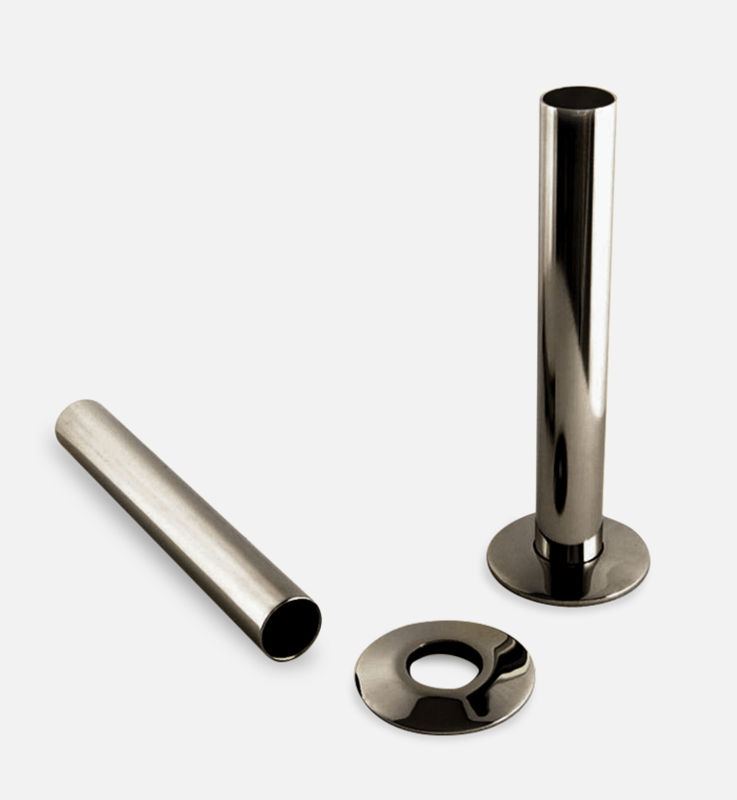 Our Buckingham radiator pipe sleeves and floor caps are especially designed to match perfectly with the Buckingham thermostatic radiator valve and the Buckingham manual radiator valve choice.